Join Capt. Joe Bello aboard the Merry Manatee for a great day of scalloping in Homosassa. Enjoy a sunset cruise to the Gulf of Mexico, see the manatees who visit our springs each winter, snorkel for scallops, or just enjoy a relaxing cruise along the pristine Homosassa River! 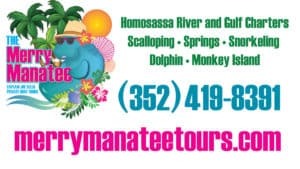 Please see our website at www.merrymanateetours.com or call us at 352-419-8391 for further information. Mask, fins, snorkel and mesh bags for gathering scallops are included during scallop season (July – Sept). Our winter manatee eco-tours are designed for photographing and experiencing nature from the comfort of our dry boat; no snorkeling necessary! 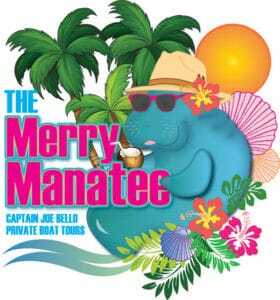 The Merry Manatee is a 24′ boat rated for up to 6 passengers. There will never be more than 6 guests per charter. Additional boat arrangements can be made should there be more than 6 in your party. Call for private tours. During a tour, guests will get to ride on our South Bay 24′ Tritoon boat. The boat is operated by Captain Joe, who is USCG-licensed. 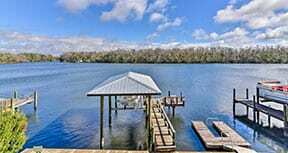 We’ll depart from a location along the Homosassa River that is convenient to our guests. 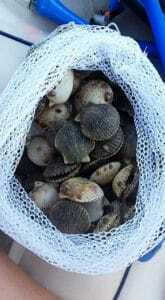 All safety gear, licenses, and supplies necessary for scalloping in the summer are included. 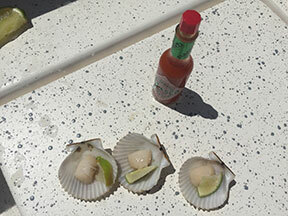 Gulf waters are typically well into the high-80 degree range in the summer months, which is ideal scallop season. Dive into the crystal clear waters to collect delicious scallops that are abundant in our Gulf waters. Cool off in the summertime in our 72 degree spring water. A tour will last for approximately 4 to 4.5 hours. Hours may be adjusted to accommodate guest special requests. The cost of a tour is $79 per person, with a Three person minimum per tour. A tour will last for approximately 4 to 4.5 hours. 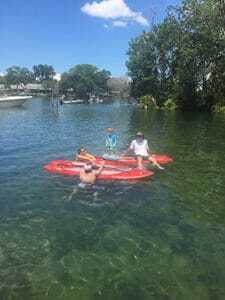 As a U.S. Navy Veteran, Captain Joe of Merry Manatee Tours is pleased to offer veterans as well as active duty military a 15% discount on their charter cost.